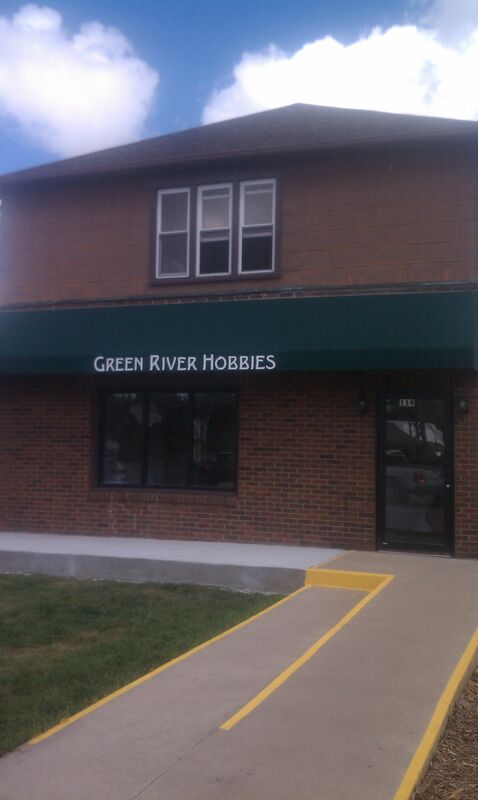 Green River Hobbies is a family-owned and family-friendly hobby shop. Together, Jim and Matt Schramm have over 12 years of experience in the hobby industry and over 50 years of modeling experience. We are happy to provide advice and are here to help you enjoy your hobbies. At Green River Hobbies, we specialize in model trains. We currently carry stock in G, HO, N and On30 and O (3-rail) scale trains, but can special order other scales. Our inventory includes engines, cars, track, and structures, scenery accessories, railroad videos and books, military planes/vehicles and diorama accessories, model car and truck kits, and Estes model rockets. We also carry a selection of parts and scratch-building supplies (balsa wood and styrene). In addition to conventional (DC) transformers, we have a selection of DCC systems, decoders and accessories. You can contact us for decoder installations and we offer some repair services for model trains (please contact us with questions). We have heard your requests and have a limited selection of Remote Control (RC) vehicles and accessories along with DuBro parts. Please contact us with your special needs – if we don’t have it in stock, we can likely special order it for you from our wide range of distributors.